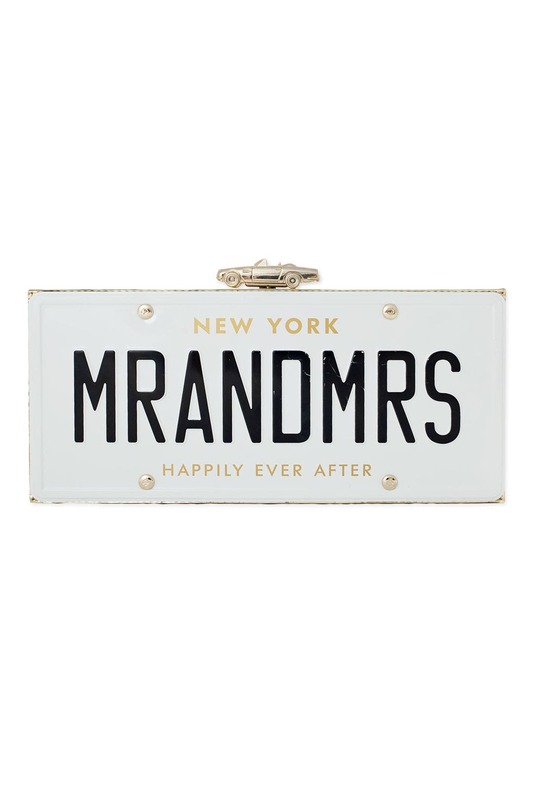 Get hitched...to this adorable clutch by kate spade new york accessories! A cute style for a bride to be or as a fun party conversation-starter. 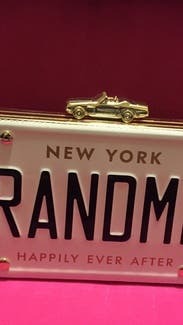 Embossed license plate clutch with 14-karat gold plated hardware. Handheld frame with car detail clasp closure. Hidden sake chain strap. 4.5''h x 10''w x 1.5''d. 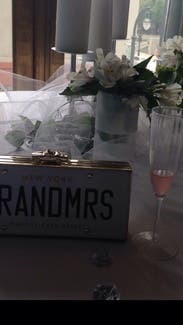 This clutch was perfect for my special day. This was über cute !! I thought the front would be metal but it turned out to be a soft vinyl . It was very clean and super fun to wear ! Nice-sized clutch that everyone loved and complimented me on! I love with the RTR Kate Spade purses! This is the second Kate Spade purse that I have rented, and I absolutely love them all! I get so many compliments, and they are not only chic, but very unique. Haven't been disappointed yet! 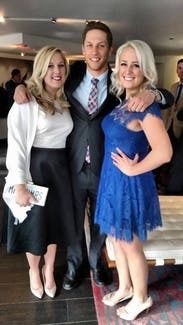 Got so many compliments, it went perfectly with two completely different outfits, plus it pulled at everyone's heartstrings at 2 weddings! It was absolutely perfect for my wedding day! 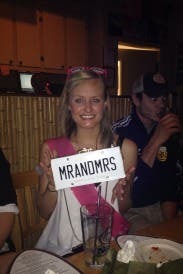 Perfect bag for my bachelorette! So fun and perfect addition for my outfit. Got compliments all night long. 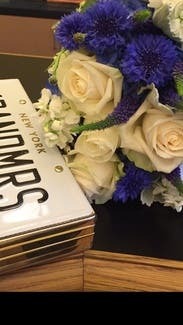 I used this as a beautiful prop for my NYC elopement! Great for photos. Tons of compliments! Surprisingly roomy. Fits a cell phone, lipstick, marriage license, pen and 3 spots for credit cards! It did not hold EVERYTHING I needed to touch up, but did the trick for iPhone and a lipstick. Perfect for my 10YR bash!! This is perfect for a wedding or in my case my 10YR bash. It really makes you feel special carrying it because you are obviously a bride or in my case a bride again 10 years later. Perfect rental piece and so pretty! Excellent clutch for wedding weekend! 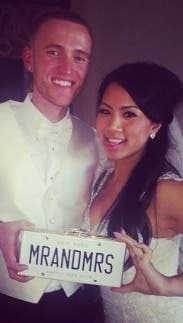 I used this clutch for my entire wedding weekend - from the rehearsal, to the wedding and to the farewell brunch! It comfortable held my cell phone, lipgloss and compact mirror with room for more. Made an awesome prop in picture and was the ultimate conversation piece! 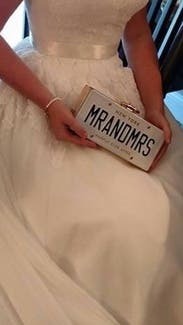 One con was that the black lettering was a bit scratched up, however, the scratches could not be seen in any photos and did not stop me from rating it 5 stars as it's such a cool clutch that I'd recommend for any bride! This clutch was the perfect wedding day accessory! 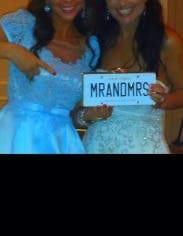 I got more compliments on this than my bouquet!!! The only con was I expected to rent this brand new, when obviously it has been used, dropped, scratched, and damaged by others! Not bad, but enough where I was like "oh, dang it !" I got over it pretty quickly. Love this! Rented for my bridal shower & now So tempted to purchase for my rehearsal/wedding/honeymoon! If I talk myself out of the purchase, I'll definitely be renting this again! I used this for my wedding shower and got so many compliments. I loved it! This is the best clutch. I got tons of compliments on it and it held my blotting sheets and lipgloss perfectly. 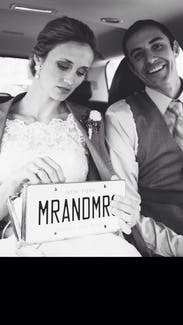 my husband owns a tag agency so this was very appropriate for us, not to mention I am a huge Kate Spade fan. I was pleased with the size more than anything. I was able to fit everything I needed for the evening and I liked that the strap didn't snag my hair all night. 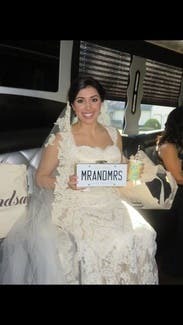 great rental for my "something borrowed"
Perfect accessory for my wedding day! It is the perfect size to fit wedding day necessities. The only reason I gave it four stars was because it was a bit scratched up but you can't even notice in the photo! 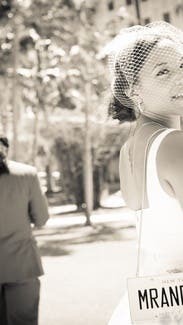 This accessory MADE my wedding pictures! 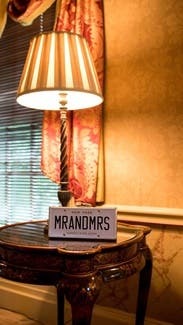 This was one of the best things I got for my wedding. Everyone was absolutely in LOVE with with this clutch, especially the photographer. I decided I wanted to rent this days before my wedding, and I'm SO glad I did! I saved it for the wedding pictures and took it to the reception, and breakfast the next morning. You have to rent this, it was an amazing prop for pictures, and just fun to carry. I didn't put many things in it, but it will carry a phone, lip gloss, powder, etc. Thank you RTR! Amazing experience! So cute for pictures! Perfect size for phone/lipstick/backup necessities! I was worried this bag wouldn't be big enough for all my stuff but all for just fine! We got some adorable pictures holding it with my husband! 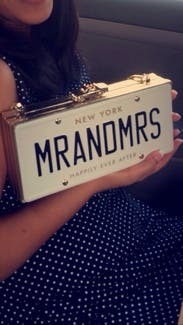 Perfect bag for my engagement pictures! Loved this bag! Wish I could keep it. I was able to fit a lot more in this bag than I thought I could. A large cell phone, make up and money. Would rent again or even buy! Although this clutch didn't fit a ton, all I had with my were the essentials- phone, lipstick , ID and some makeup. Could have fit more if I needed to. Got lots of compliments! 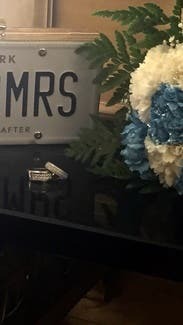 The taxi clasp was a nice touch. Would definitely recommend for your wedding- especially an NYC one! I don't want to send this back. I'm so in love with this purse. People literally were staring at me when I was carrying it. At least 30 people asked me where I got it. WORTH EVERY DIME OF RENTING! Attention all brides if you want to feel unique rent this! This was an amazing prop for my photos. I used it for dinner after and received so many compliments. 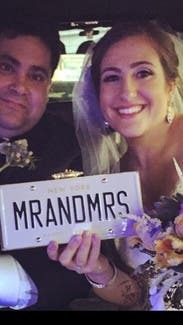 I rented for my sister for her wedding. Very cute. The lining has couples sayings. Has a shoulder chain. 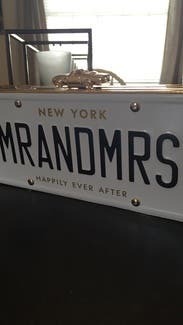 Used this clutch for my wedding rehearsal. So cute!! 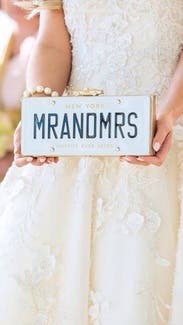 Quirky and perfect for my wedding day! It was perfect for my engagement shoot as a prop. This was so cute for my engagement shoot as a prop! Perfect detail for engagement pictures! Loved using this as part of my engagement session. So fun! 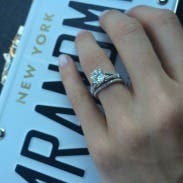 The perfect accessory for our wedding weekend! 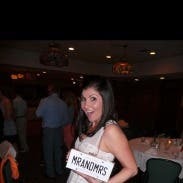 This was a great piece for my rehearsal dinner and wedding. It made for great photo opps! Wish I could keep it! 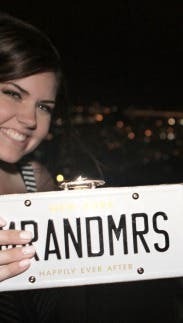 I rented this clutch as my "something borrowed" for my wedding and couldn't be happier! It was beautiful and had a lot of space to put everything I needed for the big day! 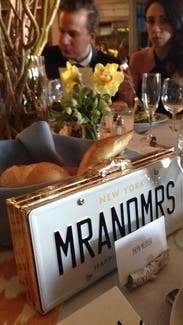 This beautiful clutch was used for my bridal shower and wedding day! I got so many compliments and it was a great photo prop. I would highly recommend renting this clutch. So cute for my city hall elopement! 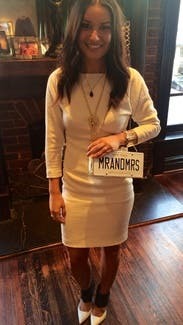 Was a great cutesy accessory, and my photographer went photo crazy on this clutch! Just note the inner pockets are VERY small and thin, it didnt fit my wallet and barely my compact. 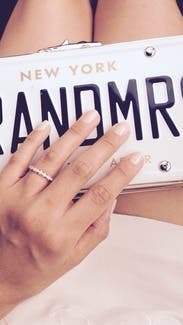 The cutest accessory for my special day! EVERY ONE LOVED IT!!!!! Super cute, perfect size and I received so many compliments on it while on my honeymoon! A must have for anyone who's "thinking about it"!!! GET IT!!! I'm so glad I decided on this clutch for my wedding. It was great for photos! This purse was a standout!!!!! It added a little something to my City Hall wedding. The purse came in very good condition, for something that's a very popular item on RTR. If there was something minor on it, I did not notice. I was able to fit my iPhone 6, without the case, my drivers license, money, lip gloss and some oil blotting sheets for my face. A few essentials. I loved it! It was also a cute statement piece for photographer! I can't wait to get our professional photos but here's a cell phone pic I took behind our photographer! 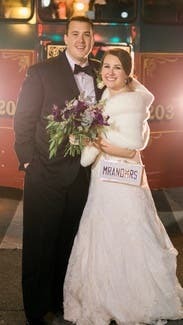 Loved the purse even more because we are New Yorkers and got married at Worth Street in downtown Manhattan. 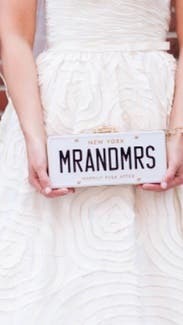 If you can reserve this purse for your big day, do it in advance ! 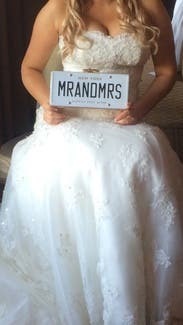 It was the perfect accessory for my wedding weekend! It carried my iPhone six, my id, credit card, and Chapstick! Everything fit nicely in there BUT it's not going to hold too much else. 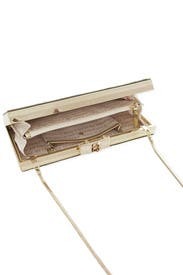 I LOVED carrying this around as a shoulder bag or a clutch. 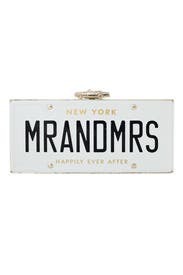 I rented this clutch for, what else, a wedding! The size was much bigger than expected, which was great as it fit my phone and my makeup touch up (although it was tight). Other reviewers remarked that there were scratches and there were minimal ones on mine, but nothing terribly noticeable. Loved that there was also chain as I wore the clutch like a purse at the end of the evening. The clutch was so cute and I received so many compliments!